Now you can protect your comfort system with a low monthly investment. 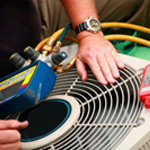 We know that the comfort of our satisfied customers has been and will continue to be the primary goal of Monthie Mechanical Inc. We also believe that our Planned Maintenance Program is the best way for us to provide for your continued comfort at an exceptional value. The savings truly add up when you purchase our Precision Tune Up through a residential Planned Maintenance Program. Planned Maintenance Program Precision Tune Ups will be performed during normal business hours. Demand and emergency service calls will receive front of the line service.